The students who pass this course will be awarded a BA in Preservation and Restoration of Cultural Heritage, which is included for all purposes in level 2 of the Spanish Standard for Higher Education Qualifications and is the equivalent of a university degree ((Law 8/2013, 9th of December, for the improvement of educational standards, 44 – BOE num. 295, 10th of December. 2013, p. 97892). Royal Decree 1614/2009, 26th of October, whereby the standardisation of Higher Arts Studies is established (RD2009.pdf) and Royal Decree 21/2015 of 23 January, by amending RD 1614/2009 (RD2015.pdf). Decree 85/2014, 10th of June, for Higher Arts Studies (D2014.pdf). Royal Decree 635/2010, 14th of May, by which the basic content of the Degree course in Preservation and Restoration of Cultural Heritage is regulated (RD2010.pdf). Royal Decree 96/2014, 14th of February, which modifies Royal Decrees 1027/2011, 15th of June, under which the Spanish Standard for Higher Education Qualifications (MECES) is established, and 1393 / 2007, 29th of October under which the standardisation of official university teaching programmes are established (RD2014.pdf). In addition, the University-System Quality Agency for Catalonia has verified the Degree in Preservation and Restoration of Cultural Heritage which is awarded by the ESCRBCC. 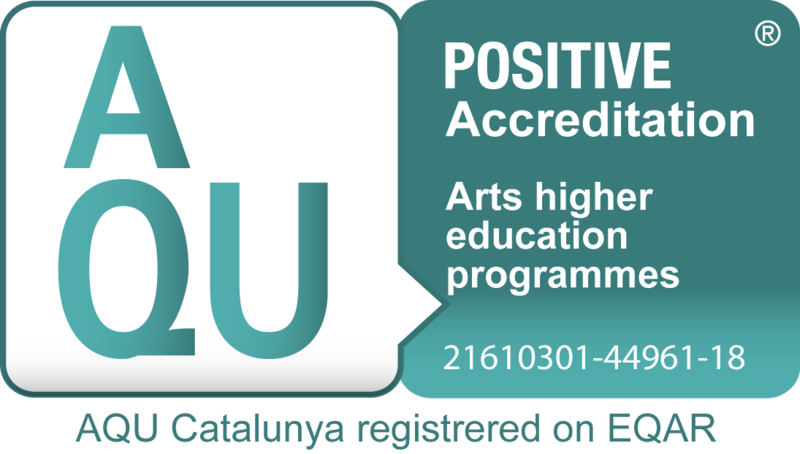 The final favourable evaluation report was delivered on the 3rd of July 2013 at the Education Department of the Generalidad de Cataluña (see: http://www.aqu.cat/aqu/actualitat/noticies/11703625.html).